This is the second of the articles I wrote for the Healthy Life, Mind Body and Soul magazine that I've published on my blog. 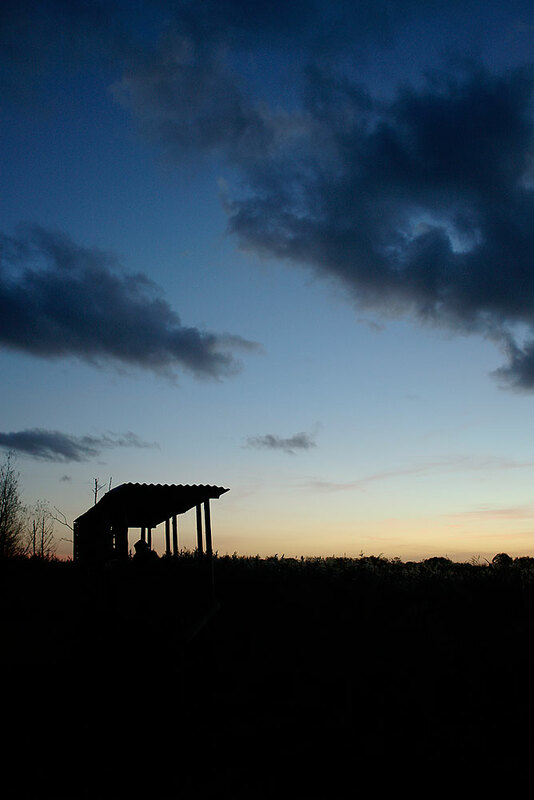 It relates my trip to Westhay Moor National Nature Reserve near Wells, in Somerset, to see the starling roost. As it's that time of year again, and seeing as it's been featured on 'Autumnwatch' on the BBC, I thought it time to share it with you. 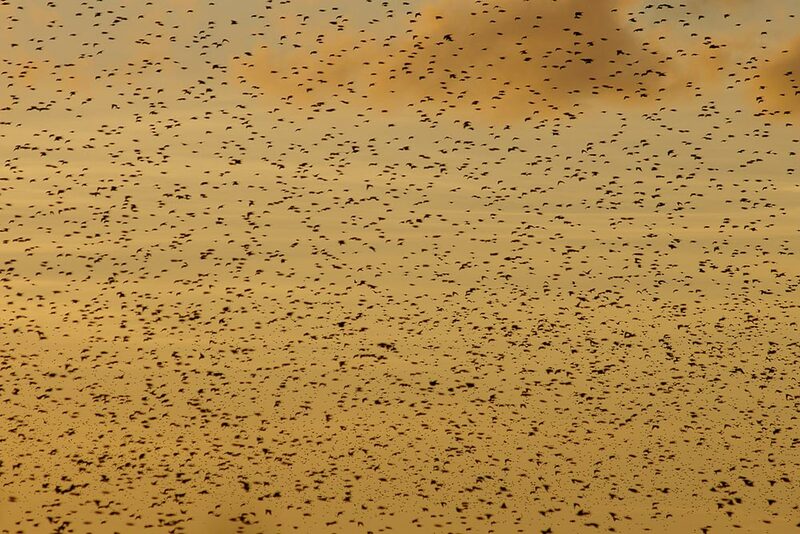 It’s not often that a much-maligned bird like the Starling gets its own slot on prime-time television, but I’m sure many of you saw Bill Oddie in Somerset as he watched a massive Starling roost performing its amazing aerobatics; strange shapes forming as the huge flocks wheeled around the sky, before plummeting down into the reeds to spend the night. It made me want to see them and, as luck would have it, my wife and I were going to Somerset for a few days in early November. 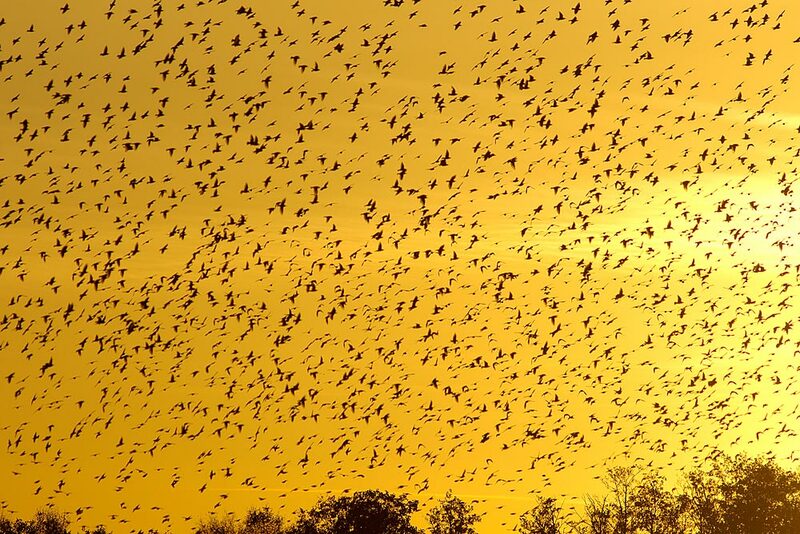 A quick Internet search came up with the location of a huge roost - Westhay, near Glastonbury. As it happens, this wasn’t the one that Bill filmed; he was near Slimbridge. That roost numbers 1-2 million birds, quite impressive. However, the Westhay one is estimated at between 3 and 7 million (you try and count them; I think we can give them a little room for error), and is well known as one of the best places to watch these birds performing. 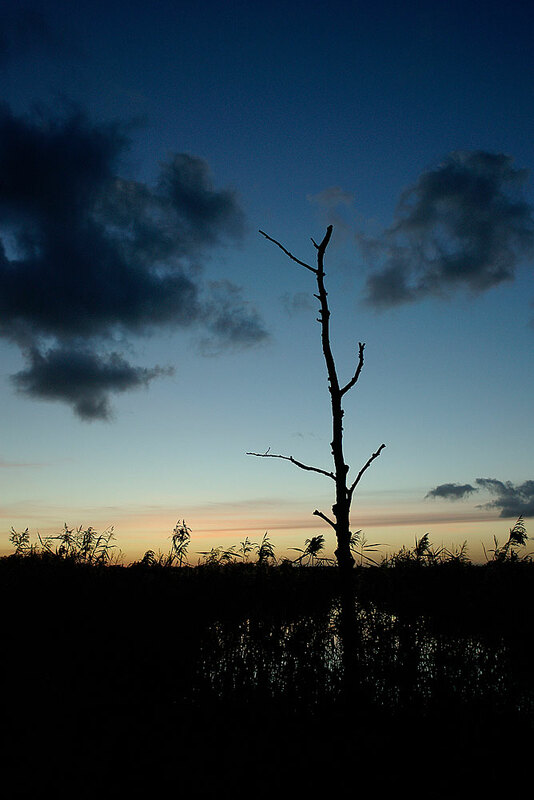 Westhay Moor National Nature Reserve is cared for by Somerset Wildlife Trust, and consists mainly of reedbeds and open water where peat extraction works once scoured the land. Now it’s home to Otters, Bitterns and a multitude of wildfowl. That would be great in itself, but add the spectacle of the Starling roost and it’s surely somewhere any keen wildlife enthusiast should visit. Our trip in November coincided with the early arrivals at the roost - numbers don’t fully build up until December onwards, and will include many birds from the continent, not just Britain. They’ll stay until winter’s over, which, as far as they’re concerned, is early February. Still, estimates for the time we were there were around 1 million birds, and it was absolutely stunning. The Starlings prefer to do their aerial displays on calmer, milder days, so our first visit, on a Monday afternoon, wasn’t destined to go down as one of the greats. The clear skies of lunchtime had clouded over, the wind had picked up and a distinct chill was in the air. At about half past three the first birds started to arrive, and each successive group came in larger flocks, until the largest ones which spread out along the horizon, producing a seemingly endless supply of Starlings, which flowed down into the reeds with little of the artistic flair that we were hoping for. Once the sun went down, and the birds stopped coming, and we were feeling really cold, we called it a day and went back to the B&B and the roaring fire. Overall, it was a little disappointing - we were hoping to witness aerobatics the like of which we’d not seen before, and obviously I wanted to take some good photos of the Starlings in action, neither of which happened. However, it was still worth the visit, and we decided to go back if we came down to Somerset later in the winter. A couple of days later we were in Wells, the day was chilly but sunny, and the car park ticket ran out at two o’clock, so we wondered what to do with the rest of the afternoon. I suggested that we revisit Westhay, as I was still keen to get some better photos, and the sunset looked more promising than the previous one. Some time later, we were again stood in the small, open ‘hide’, from which you can see at about reed-top height, waiting for the Starlings to come back. A small crowd of people had gathered, and were not disappointed to see the first birds swooping down. Again, they just descended straight into the reeds, and we were not given the delight of watching thousands of birds twisting and turning through the air, but even so, it was still a magical experience. 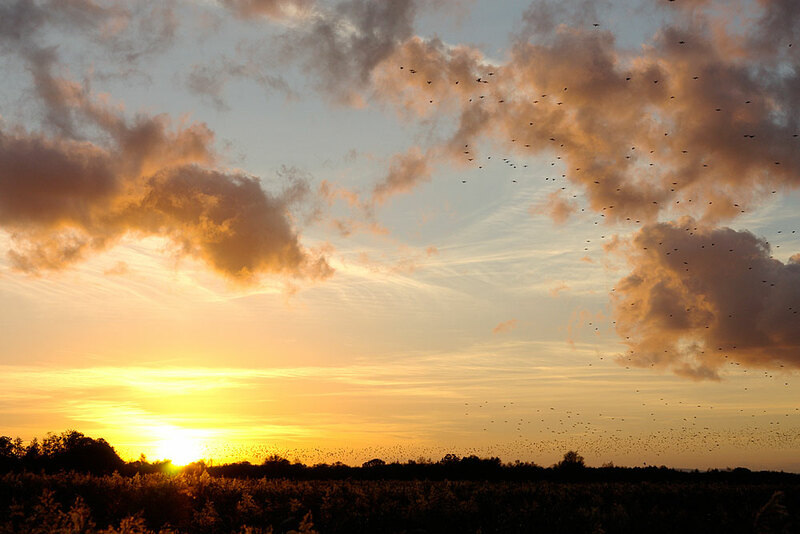 The sunset glowed, as cloud after cloud of Starlings came in, the rushing sound of thousands of beating wings swiftly followed by chattering calls as they settled in the reeds. 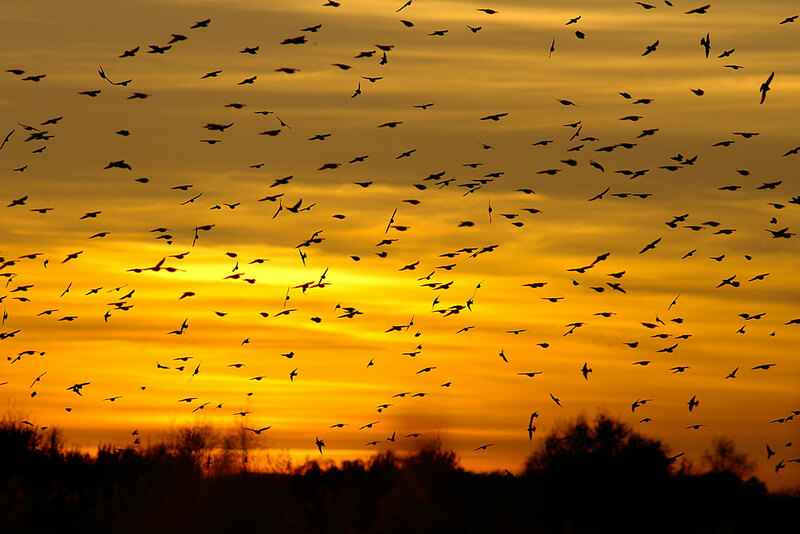 We’d watch one huge flock, spread out over hundreds of yards, get closer and closer before pouring down out of sight, 30 seconds separating the landing of the first birds from the last. And in the distance, a bigger flock would be forming, following the previous one in and adding to the clamour of noise from the reeds. And from behind us, and from the right and from the left, more birds would arrive in groups of 60,000 or more (one photograph that I took shows around 3,000 birds, and this is just a small section of one of the big flocks). This went on for around 20 minutes, the sun sinking below the horizon and the chill air cooling rapidly, with now only a few stragglers arriving with a mad dash. With the show over, the birdwatchers left, but with a clear sky and a feeling of calm after the storm, my wife and I stayed for a few minutes more. That’s when we noticed the Starlings were not at rest, but had now started flying around in the reed-bed, spreading out from where they’d landed, flowing through the reeds, their wingbeats sounding like rushing water, closer and closer to us. With a wonderful sense of awe, we delighted in the experience. It was now far too dark for photography, so we simply watched and listened - just the two of us and one million feathered friends. Further details about Westhay Moor N.N.R. can be found on Somerset Wildlife Trusts website - www.somersetwildlife.org.